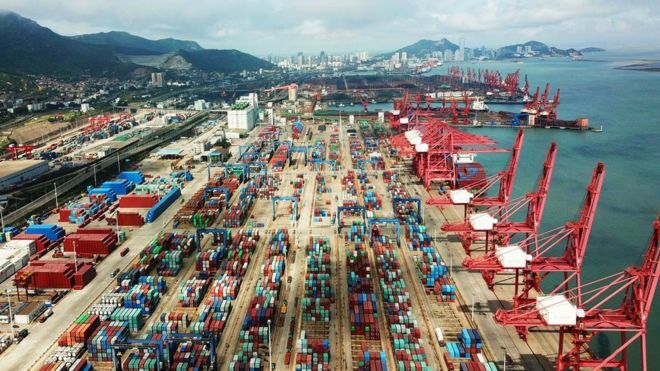 China’s economy grew at an annual pace of 6.7% in the three months to June, official data showed, meeting forecasts for the period. The data comes as the government fights to contain ballooning debt and as trade tensions with the US escalate. The US raised the stakes in a trade war last week, listing another $200bn worth of Chinese goods to be hit by tariffs. Analysts had forecast China’s economy would expand 6.7% during the second quarter. “We expect growth in [the second half of the year] to be challenged by the slow credit growth and softer real estate activity. Also, the intensifying trade conflict with the US will start to weigh on growth,” Oxford Economics said in a research note.